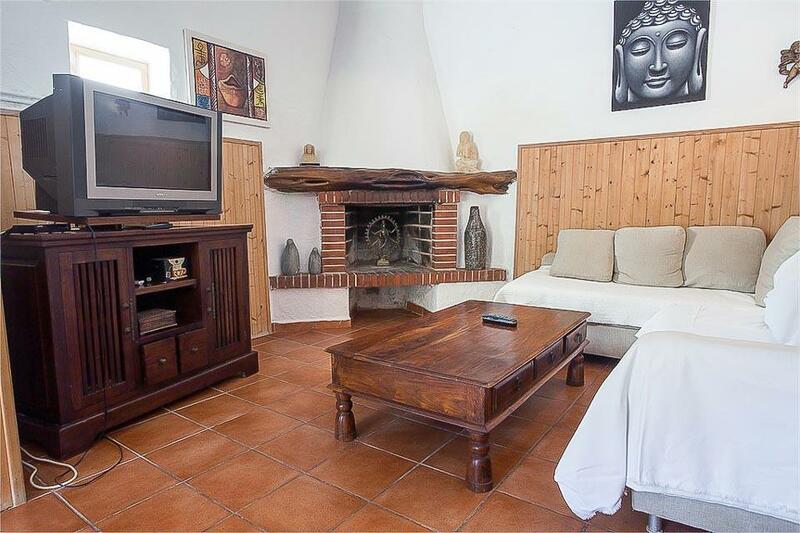 Villa Daniel is a beautiful and authentic Ibizan Finca style villa in the area of Sa Carroca near to Ibiza Town and Playa den Bossa. 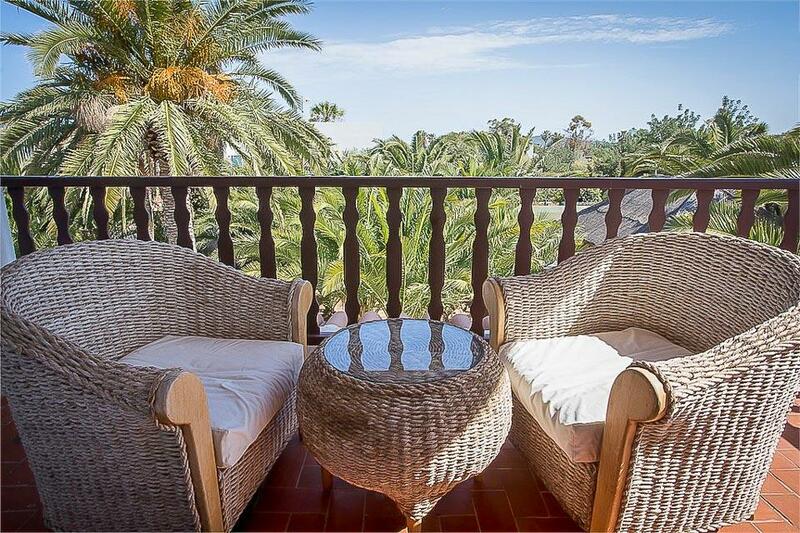 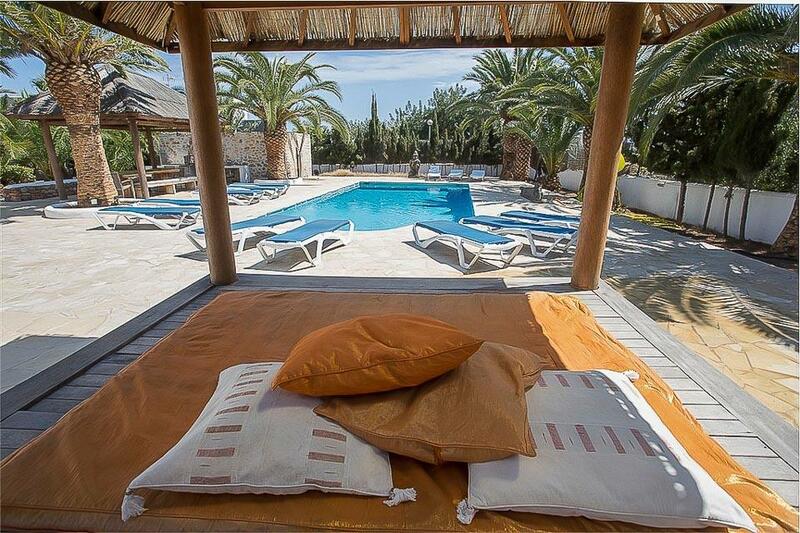 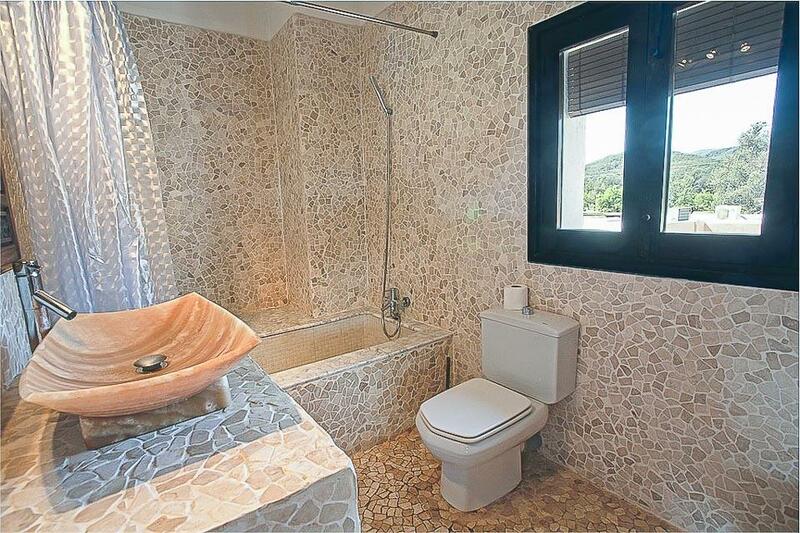 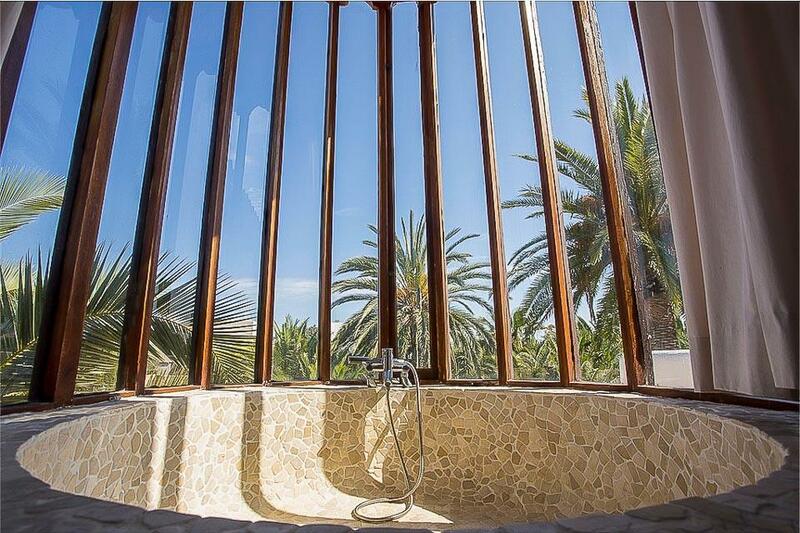 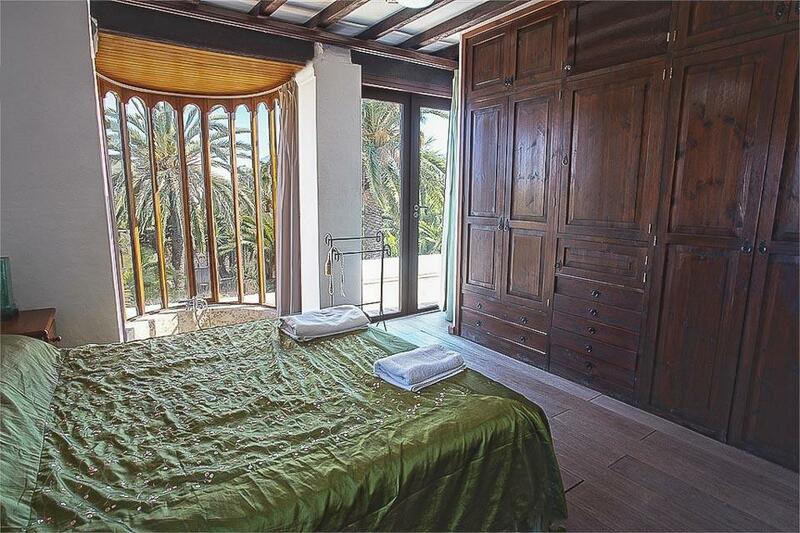 Villa Daniel is a beautiful and authentic, large villa near to Ibiza Town and Playa den Bossa. 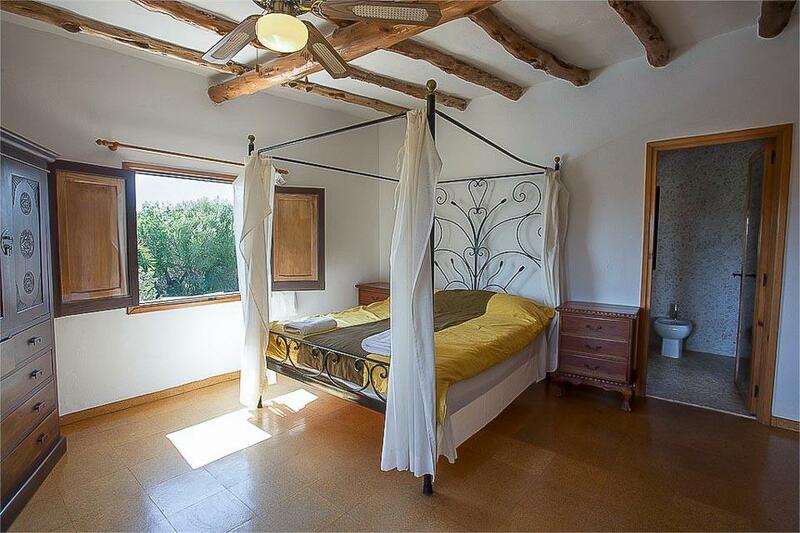 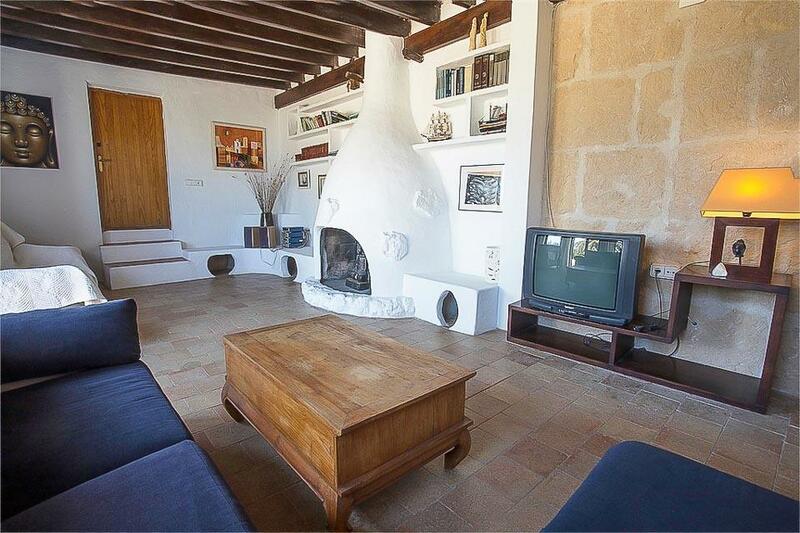 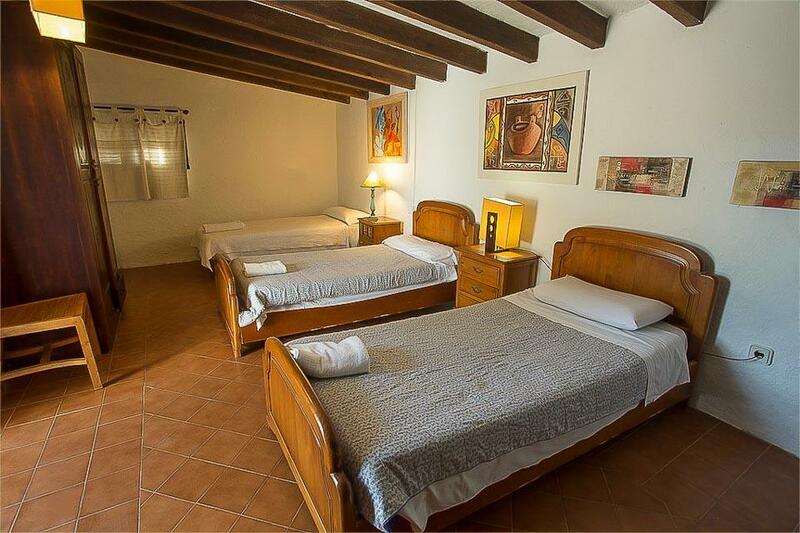 This 400 year old typical Ibizan finca is one of the original country farmhouses in this location, just outside Ibiza Town in the area of Sa Carroca which has developed into the popular and convenient area it is today. 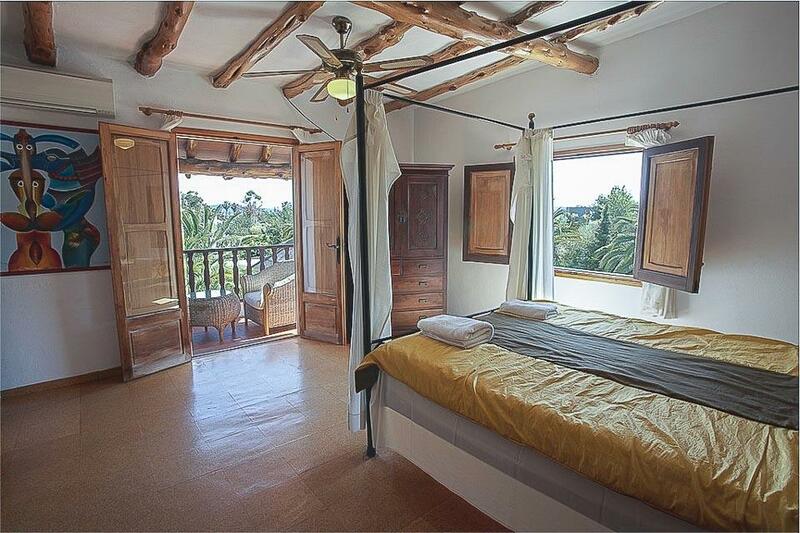 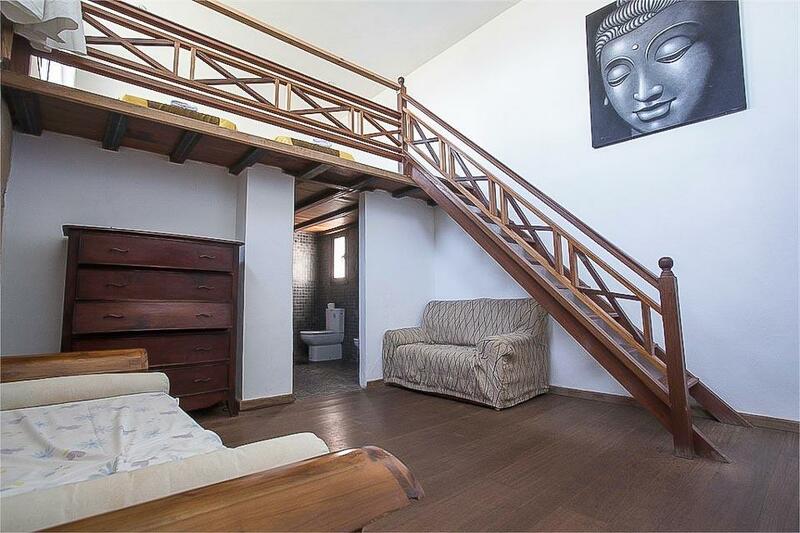 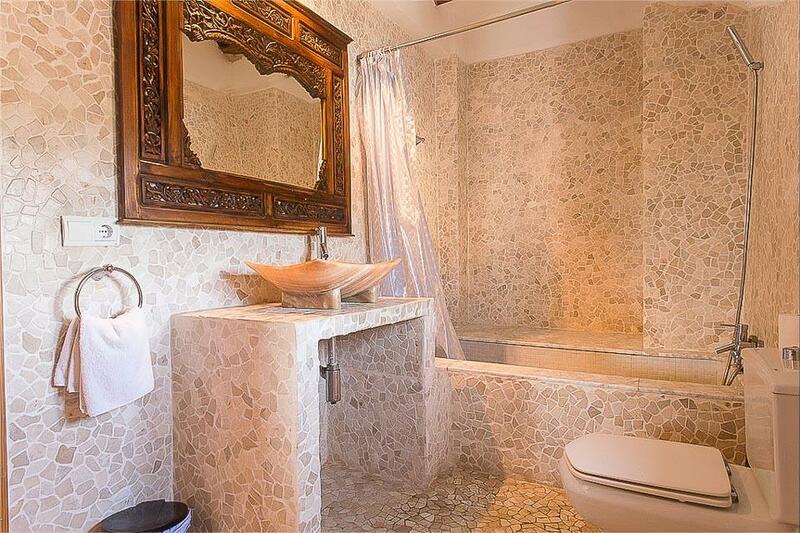 This charming and unusual property retains many of the original finca features, now blended with quirky, Balinese influences that have been added to the property over the years, both inside the house and in the grounds surrounding the pool. 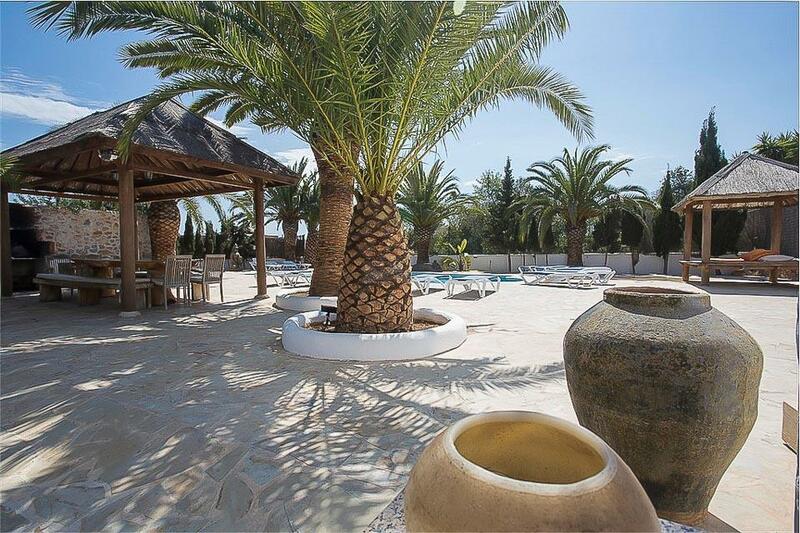 The garden of Villa Daniel is a wonderful social space with a large pool, sun loungers and a shaded, bamboo and wood chill-out daybed. 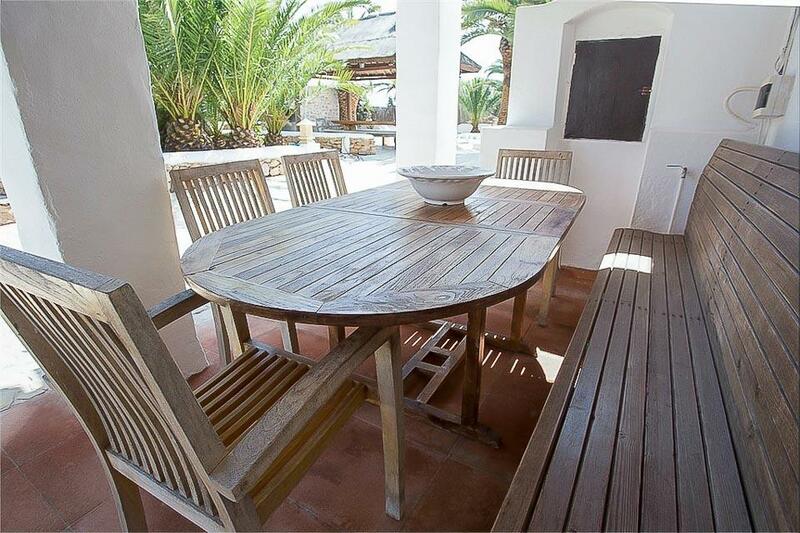 Next to the pool is a long table and benches shaded beneath a Balinese wooden canopy roof, and located near the brick-built barbecue, making it ideal for long, lazy lunches or pool-side dining at night. 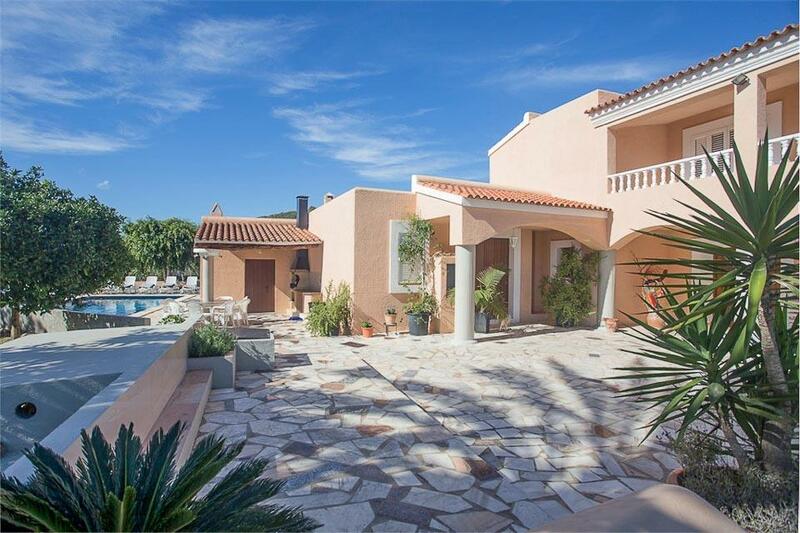 There is also an external annexe in the grounds of Villa Daniel, located at the other side of the pool, behind the outside dining area. 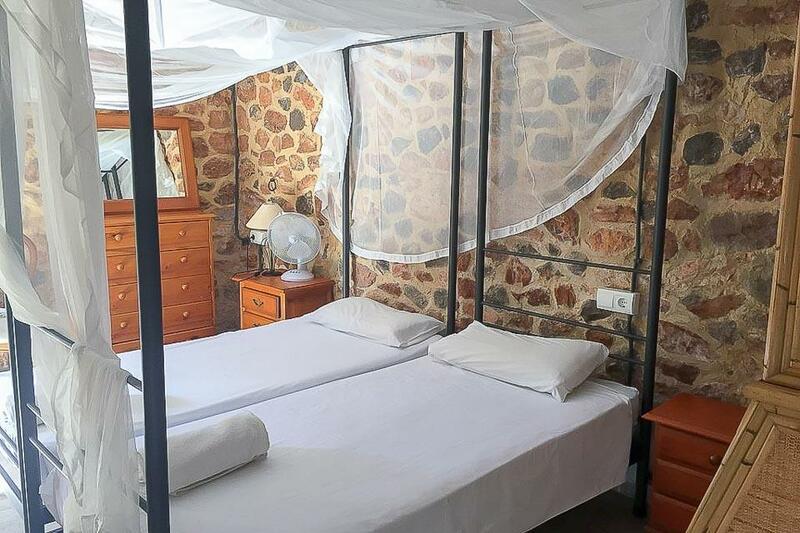 It features attractive, exposed stone walls, has two four poster twin beds and a newly installed modern shower room with toilet. 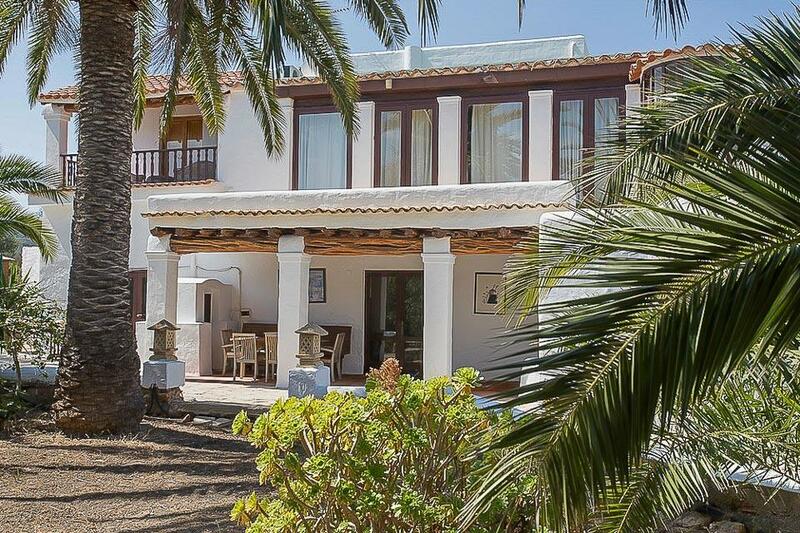 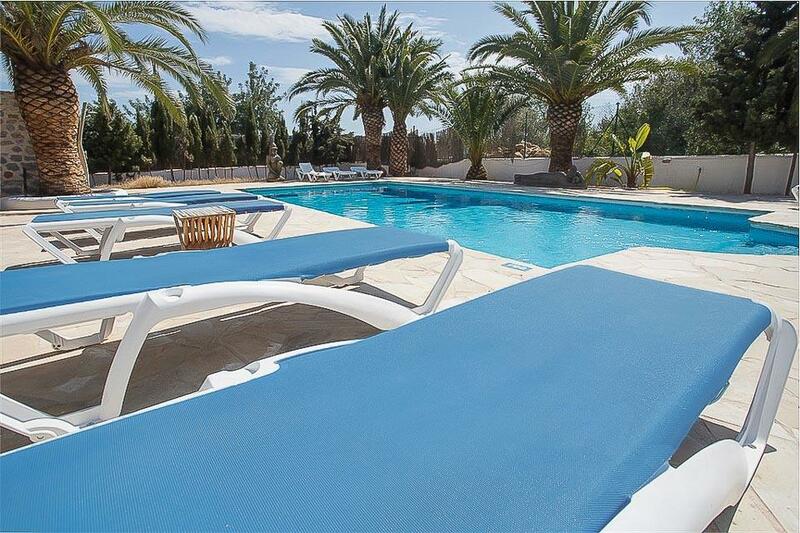 Casa Carolle is a large, light villa in a peaceful location, but ideally situated to reach Ibiza Town and Playa den Bossa with ease and is even within walking distance of two of the island’s Superclubs. 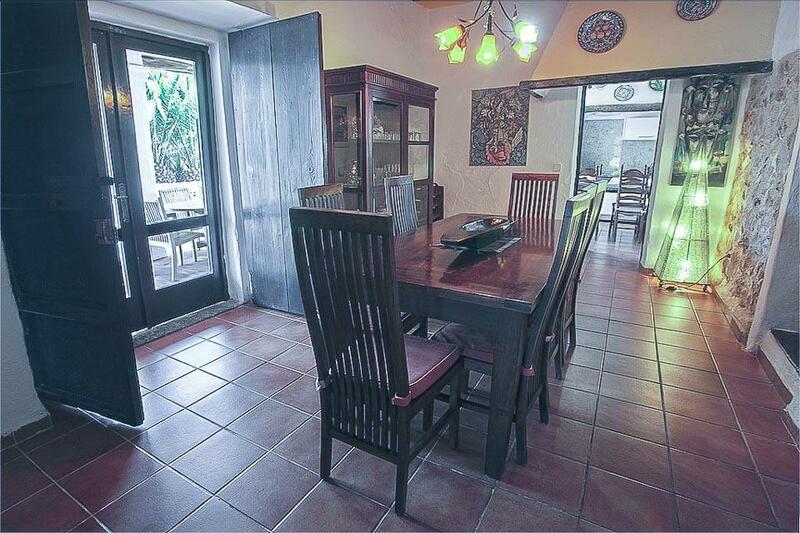 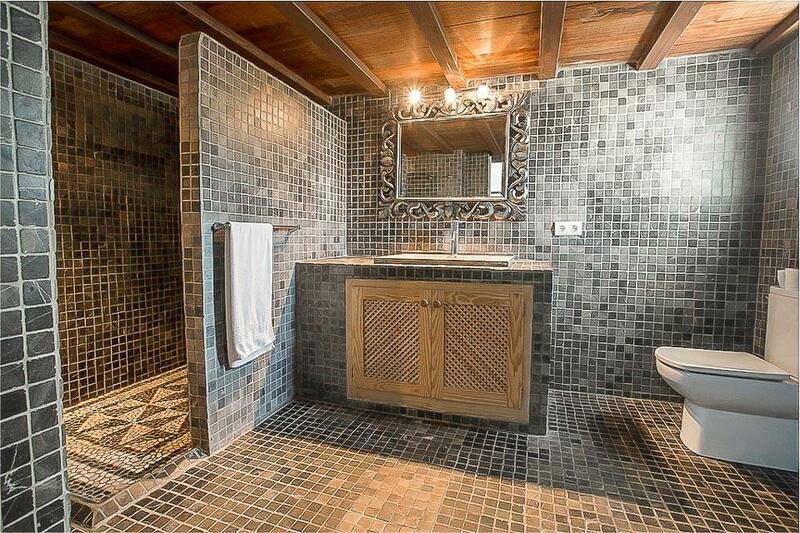 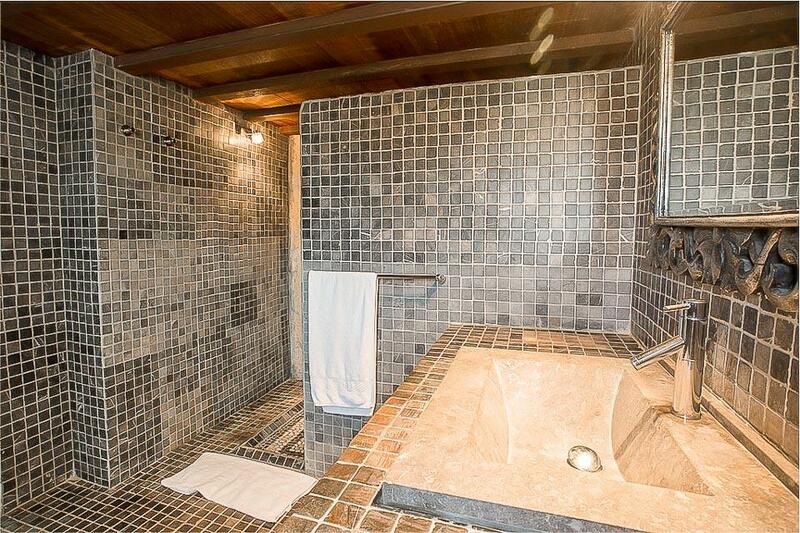 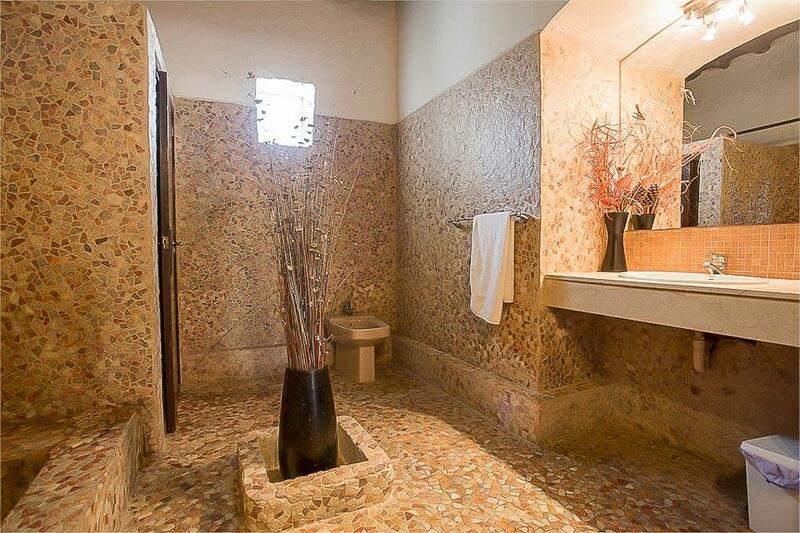 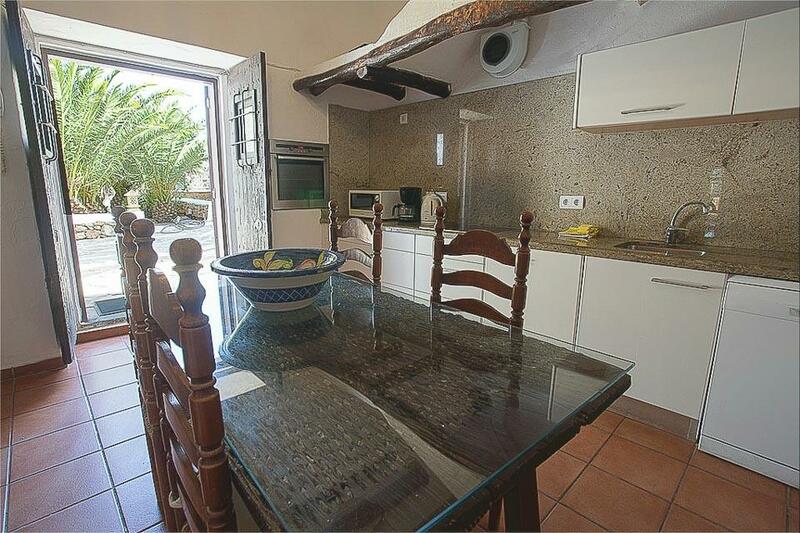 The villa has a wonderful, spacious layout..